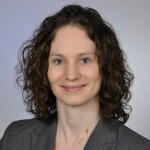 Eunike Wetzel was a researcher and lecturer in the “Research Methods, Assessment, and iScience” working group (leader: Prof. Dr. Ulf-Dietrich Reips) from April 2014 to December 2017 (with large breaks of together more than a year in visiting positions during this period). Eunike Wetzel’s research focuses on response biases in psychological assessment and applications of item response modeling. Further research interests include personality psychology and methods of large-scale assessments.